NovaPDX is an organization founded by Alex Nova in September of 2017 to provide talented performing artists with performing and collaborative space. Alex has been organizing poetry events since 2008 and working toward her dream of establishing a physical space where artists can grow and thrive. In September 2017 NovaPDX organized the first Comedy vs. Tragedy event in Portland, Oregon. Hosted by Mighty Mike McGee, Comedy vs. Tragedy is a variety show competition, in which three poets, three musicians and three comedians perform and a winner from each category is selected by the audience to compete in the final round—poet vs. musician vs. comedian. The finalists receive cash prizes and the first place winner is invited to perform a feature at a future show. As of March 2019 over 100 different artists have performed in Comedy vs. Tragedy events. The event occurs every month on a third Friday at Cider Riot. In 2018 NovaPDX has created two more companion events: The Verse Showcase, an event featuring local and touring performing artists, and Outwrite series of workshops hosted by Leah Noble Davidson where three poets, three comedians and three musicians shared their writing process. Alex Nova is the founder of NovaPDX. A dreamer by nature, Alex envisioned a place where talented individuals gather to develop their talent, are supported to grow it, and are enabled to showcase it across various stages. This dream realized itself through NovaPDX. Alex has been writing and performing poetry as well as organizing events for the last 12 years. She is a proud Portland Poetry Slam veteran. 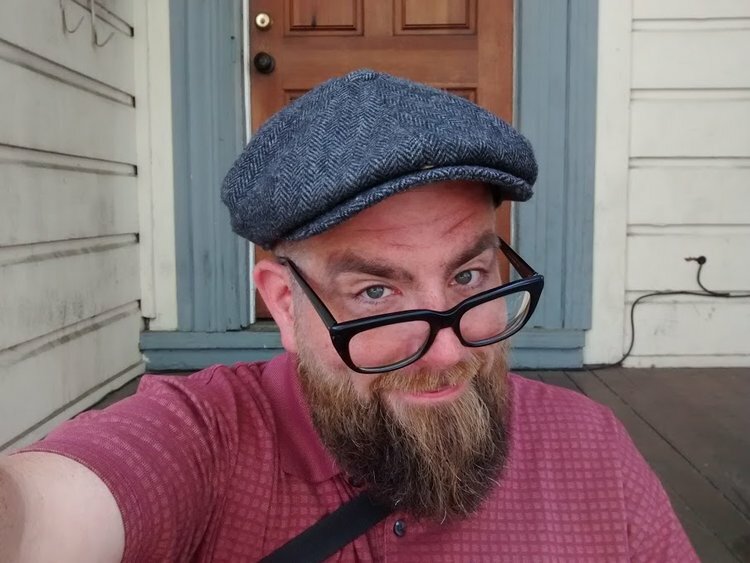 Mighty Mike McGee is a funny stand-up poet from San José, California. He's performed his comedic storytelling and poetry in thousands of cities and towns for millions of ears throughout the U.S., Canada and Europe. McGee won all of the most coveted U.S. poetry slam titles and is one of the best known and liked people in the world of chatty writers. He was appointed Poet Laureate of Santa Clara County (Silicon Valley) for 2018 & 2019. He’s been featured on CBC, NPR and HBO multiple times and takes pride in making people laugh and cry from the stage. Mike hosts Comedy vs. Tragedy event. An American Singer Songwriter who melds Folk, Indie and Jazz, Jonie has an amazing way of turning her personal story into something we can all relate to. She captures the raw emotion of life and delivers it in the form of a song and a melody that will have you humming her tunes well after you’ve listened. Jonie hosts The Verse Showcase and Songwriters In The Round events. Leah Noble Davidson is a design researcher, strategist, and poet in Portland. Her books Poetic Scientifica (2013, University of Hell Press) and Door (2016, University of Hell Press) spent months at the top of Powell’s bestseller list. She's been published in a variety of things, but values sharing work most in informal settings like late night shows at bars and workshops squeezed into back rooms. Igor Brezhnev is a poet, an artist, and a book designer amongst his other sins. He has been calling Portland, Oregon his home since 2013. He has first-hand experience with confronting depression, homelessness, poverty, and xenophobia, as well as more common ailments like heartbreak and spilled coffee. Igor has authored three books: the book of possibilities (2012), dearest void (2016), america is a dry cookie and other love stories (2018), and a poetry album Good Days & Bad Days (2018). He started to help with graphic design and production of NovaPDX events in 2018.